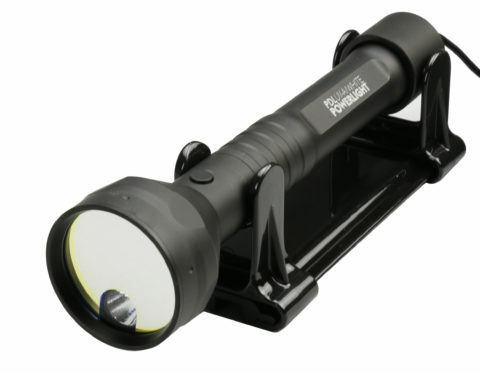 The PDL, Particle Detection Light is a special flashlight, developed for professionals in the cleanroom industry. 5x 5 W UV-A light and 1x 5 W white light. 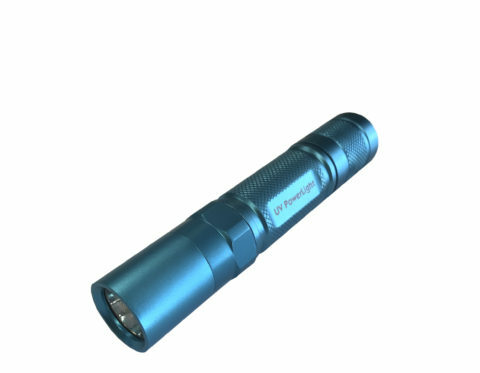 Recommended for Particle Detection The PDL is executed with 5 powerful UV-A LED’s of 5 watt each, which makes this unit the most powerful ultraviolet inspection light available in the market. In front of the UV-A LED’s a special dichroic filter is placed, which blocks all other wavelengths. Only ultraviolet light (UV-A) will pass this filter. Who carry out particle inspections. 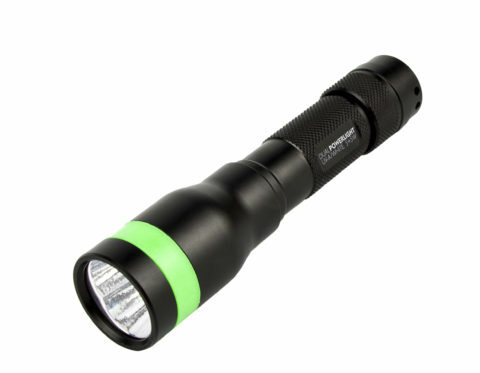 User friendly flashlight, used for UV-A visualisation as well as a regular white light flashlight. Recommended for heavy duty use in Pest Control.